Vista Studios in Times Square! Well would you look at this?! 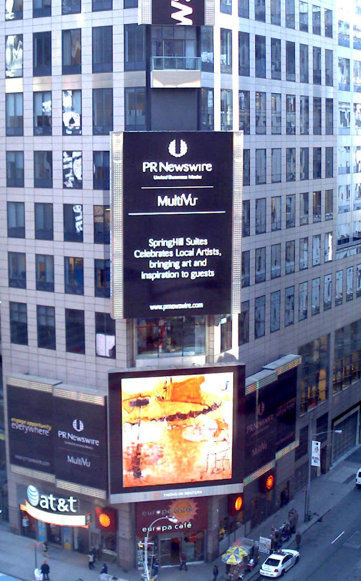 Our recent collaboration with Marriott / Springhill Suites was picked up by PRNews wire and they put it on their jumbotron in Times Square! Laura Spong’s painting looks great! Faffy has never been so impressed. She is so pleased to have one of Laura's originals.